* The affix “C” behind the model No. refers to consumer high cap type. LiFePO4 batteries may be manufactured either in standard liquid injection or gel technology, to be specified in quoted specs. 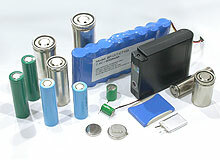 Above battery sizes and dimensions are typical listing. More custom sizes are to be available upon requirement.